Concrete & Marble Transformerz is a Top-Rated Local® restoration company offering services to commercial and residential clients in Los Angeles and the surrounding areas. We specialize in stone polishing, honing, stain removal, maintenance, staining, and cleaning. 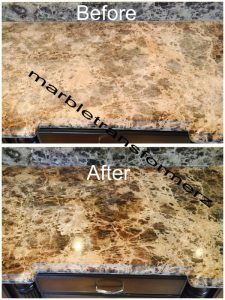 Our restoration services will have your stone surfaces looking like they did the day you installed them! Whether your stone flooring has been cracked, damaged, or stained, Concrete & Marble Transformerz can recover the luster and beauty of your flooring. With more than a decade of experience in the floor cleaning and restoration industry serving clients such as the Hilton, Beverly Hills Hotel, and USC, you can rest assured that your stone surfaces are receiving the best service in Southern California. Contact our Top-Rated Local® floor polishing and restoration company today for a free estimate! We looking forward to speaking with you.